Not only did Derek Crowe help us with our new Fatbike. He also will be our race photographer for the MYAU 2016! Which is awesome because he is a Yukoner and knows the trail. As a matter of fact he finished the MYAU 2015 race to Dawson on his bike. He will not be able to join us on all 8 race days but I am sure he will still get many nice photos. Welcome to the team Derek Crowe! For some of his work please check out his website. 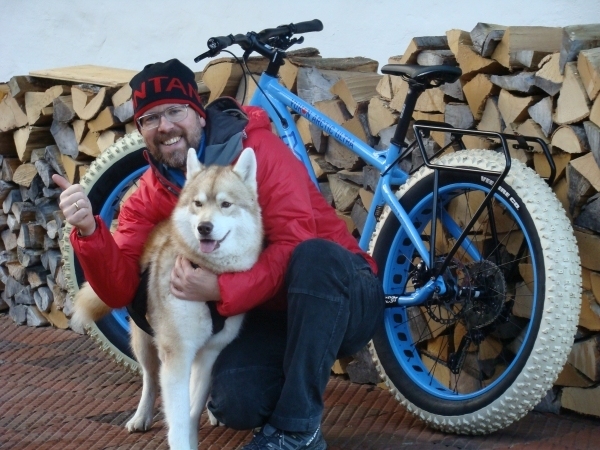 As of now we can offer a special edition fatbike to anybody who wants to participate in the MYAU and needs wheels for it. This fatbike is also available to non-participants. Just before Christmas I got the first one and took it out for a test drive. It was fun! Since I am not an expert myself, I was really lucky to get the support of Kevin Turek and MAXX-Bikes. Kevin is a very ambitious rider and has been working in a bike shop for years. He will also be the main contact for anybody interested in purchasing. MAXX-Bike is a market leader in custom bike production. CEO Uwe Matthies himself has been leading the project. I also took the opportunity to gather important information on fatbiking in winter in one dedicated section which not surprisingly is called “Fatbiking” and can be found in the Services area on arcticultra.de/en. If you have any questions, doubts or feedback, please let me know. 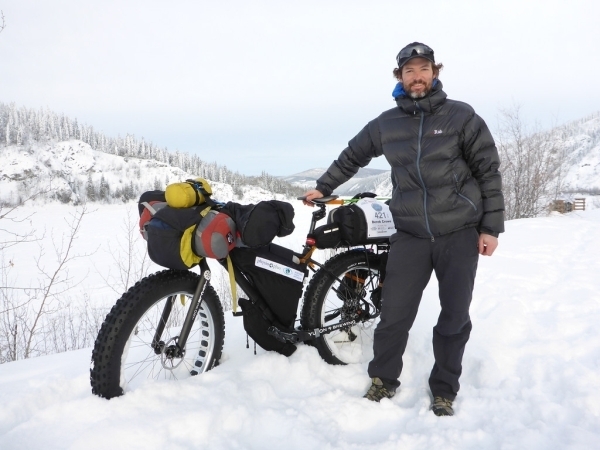 Kevin’s contact details are: Cell +49 (0)177-267 8713 or email YAU-Fatbike@web.de. All athletes who bring their own SPOT please note that you should create and save a separate “Message Contact Profile” for MYAU. Under that contact profile, we recommend you do not include family at home on either type of distress message (Help & SOS) as they may worry when there is nothing to worry about. Inclusion of family on the Check-in /OK message is fine. Within the contact profile you need to define and include recipients for the Check-in / OK message, which in the past has been, “Still smiling” (this is best programmed to send only to email); Custom Message, which has been used for, “I’m taking a bivy” (email only as well); “Help” should be both email and text. SOS has no email option. You program a phone number only. You do not want GEOS emergency response center to waste time calling family. You want race central to be the first call. If you are bringing your own SPOT we will need to get your ESN-Number which is in the battery compartment and the URL to your shared link page. In case you have not told me already that you bring your own SPOT, please do so by December 25th at the latest. Because we do have a sufficient number of rental SPOTs available, the SPOT will also be mandatory for the 100 miles! If you have a DeLorme inReach you do not have to rent a SPOT. Trackleaders.com can include it on our race tracking map. However, what I can’t tell you is how it works regarding distress messages. If you can set a profile it’s best if you use the same type of settings described above with SPOT. And make sure you have our contact details for getting in touch with text messages. Should you bring your inReach and not need a SPOT please let me know by December 25th.